My creative flow has been on point the past few weeks. I’ve been able to capture fleeting ideas and striking moments of inspiration before they are gone, and my hands have been busy! I’ve been on the search for simple but striking longer necklaces, and I haven’t really found anything that grabbed me. 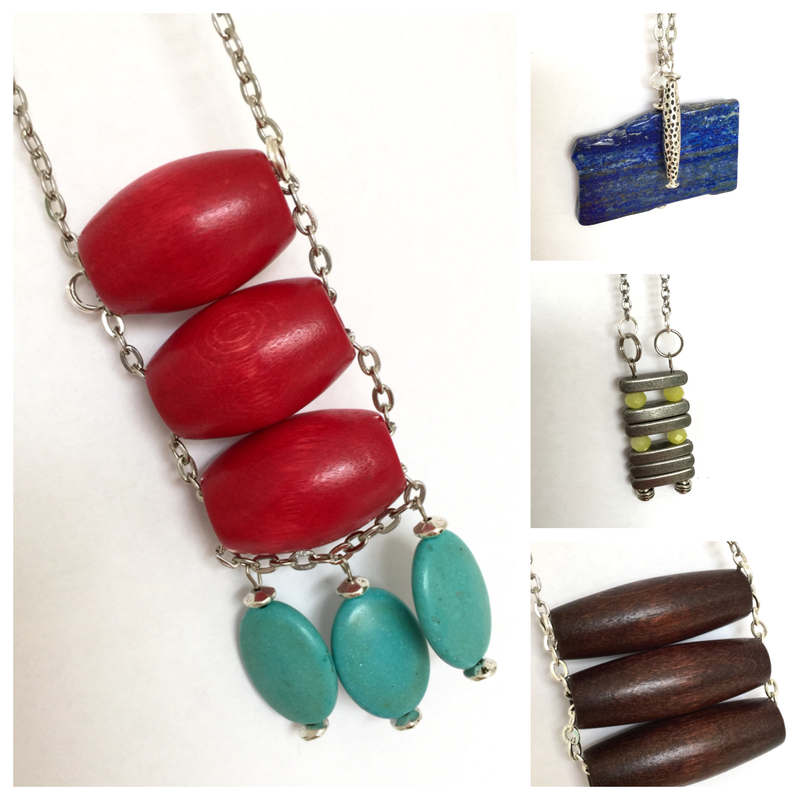 Playing with lightweight wooden beads and larger gemstone pieces has been satisfying and successful. Once I get in that rhythm it’s hard to stop. I’m very excited for what is in store! My Etsy shop will be updated with newer pieces as well. Next Post Do It, Do It, DO IT!